We are excited to be featured in PARMA’s “The Inside Story.” Click the link to read about our group and our new upcoming album, MIGRATION. On September 23, 2018, we will be presenting Michael Colgrass' Urban Requiem with the Eastman Wind Ensemble, under the direction of Dr. Mark Scatterday. 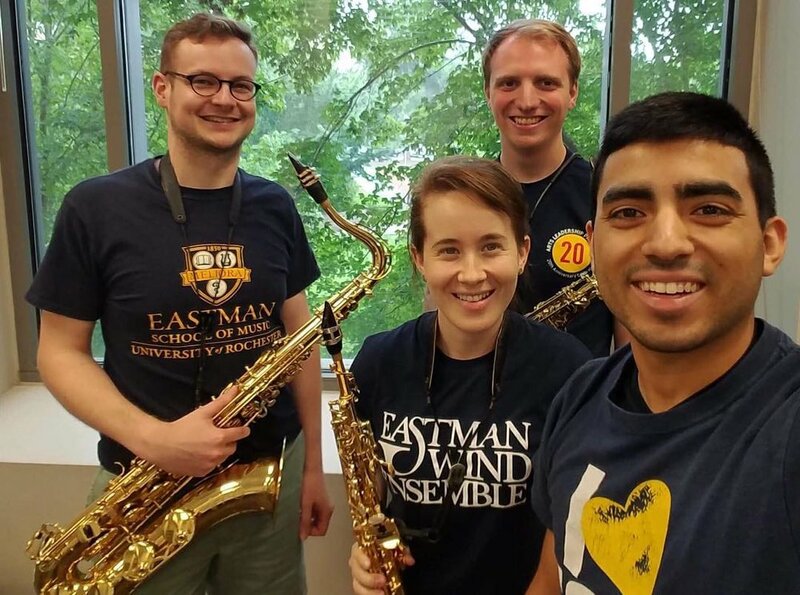 This collaboration is special for us because all of our members have had the opportunity to perform with this prestigious wind ensemble during our time as students at Eastman. We are looking forward to returning to Rochester and reuniting with old friends and creating new ones! We are excited to be collaborating with PARMA Recordings to release an album featuring works by David Maslanka, William Albright, and David Clay Mettens. Thank you to our recording engineer, Paul Griffith, album producer, Connie Frigo, and recording assistant Will Marlow for all of your help over the last few months as we begin the editing and mixing phase of the album. We would also like to thank the many of our supporters who donated to our Indiegogo campaign. None of this would have been possible without your support! We had an incredible time meeting and reuniting with saxophonists at the 2018 World Saxophone Congress in Zagreb, Croatia. The congress was held on the campus of the University of Zagreb, and we were able to attend many stellar performances from our colleagues from America and from abroad.